Microsoft Dynamics CRM is a leading ERP platform which stands out because of its customizability and extensibility. Like in all Enterprise applications, its performance becomes a key factor of user productivity and system efficiency. The Dynamics CRM framework is designed for performance, however adding components and plug-ins, implementing customizations, bloating database tables and a growing user base will inevitably take a toll on its responsiveness. The timely discovery of performance vulnerabilities is vital to the overall success of your implementation. How many users can your Dynamics CRM organization site handle? How did your latest system upgrade affect application performance, stability and user experience? What component or software transaction added the most to the users' wait time? How beneficial was your latest performance optimization effort? These and many other essential questions can be reliably answered only through realistic load testing. With the latest version of StresStimulus, you can record any Dynamics 365 / CRM scenario and then play it back without errors to realistically emulate your entire user base. 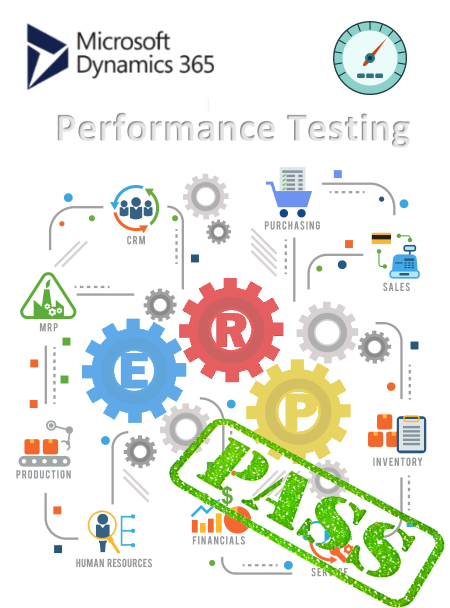 Whether you use Dynamics CRM online or on premise, the test wizard will walk you through the steps of recording and verifying your test case, configuring the amount of load, running the test and generating a wide range of performance reports. You can record user actions from a web browser, Unified Service Desk or any other HTTP fat client. StresStimulus automatically generates a script that correctly handles virtually all dynamic parameters, so you can spend less time configuring your test and more time pinpointing performance vulnerabilities. In the rare occasion when StresStimulus autocorrelation engine misses a dynamic parameter, you can schedule a support session where one of our performance testing consultants will create it manually in front of you (available to trial users and customers with Premium Support). Download StresStimulus registration-free, install it on as many machines as you need and start your proof-of-concept testing with three VUs. Start your 7-day extendable trial with up to 10k VUs and full support for end-to-end evaluation. We will even configure your first test free. Request a demo and one of our load testing consultants will give you a guided tour of how you can use StresStimulus to test your application. For the most in-depth evaluation, check our Enterprise Evaluation Program. Get up to a 5 week trial for your entire team with free training and Premium Support.